DE LORENZO TO THE RESCUE! De Lorenzo has just released a limited edition ‘Hair Rescue Kit’ to keep your hair looking its best during the Winter months. De Lorenzo has seriously come to the ‘rescue’ with this new home hair rescue kit which promises to do the 3 R’s Restore, Repair and Rejuvenate long hair to leave it looking and feeling youthful and full of life and who doesn’t want long, beautiful and silky long hair? i know i do!!!!!! 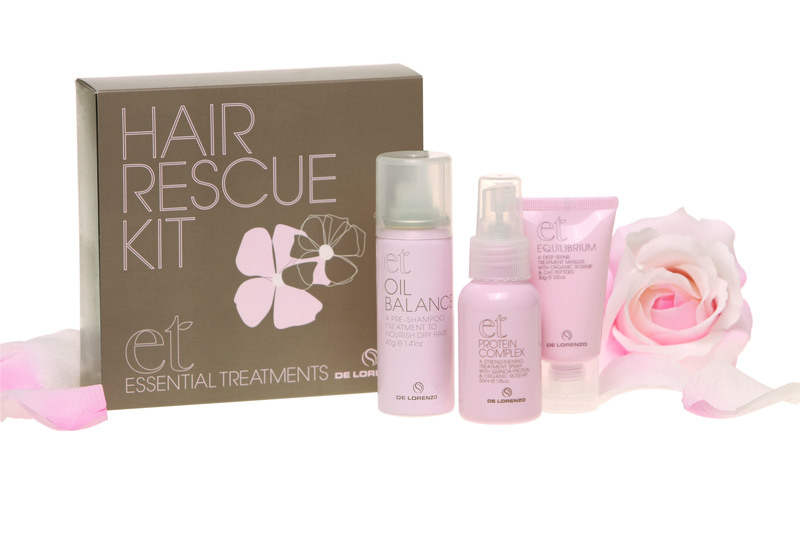 The take home rescue kit includes a mini oil balance, mini protein complex and mini equilibrium treatment that all contain essential Rose hip oils and extracts and is only $21.99 RRP pick it up in selected salons nationally from July 2010.